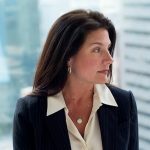 Danielle DiMartino Booth: The Future of The Federal Reserve Changed on Election Night - Wall St. for Main St.Wall St. for Main St.
Jason Burack of Wall St for Main St interviewed first time guest, former Federal Reserve insider Danielle DiMartino Booth http://dimartinobooth.com/. Danielle worked on Wall St for years and she predicted the 2008 housing crisis in advance. She then left Wall St and wrote a popular financial column for the Dallas Morning News for years as well. Dallas Federal Reserve Bank President, Richard Fisher, read her financial column and loved it and hired Danielle to work for the Dallas Federal Reserve Bank. She spent 9 years as a Senior Financial Analyst with the Federal Reserve Bank of Dallas & Advisor on monetary policy to Dallas Federal Reserve Bank President, Richard Fisher. Danielle left the Federal Reserve in 2015 to start her own consulting and newsletter publishing company, Money Strong. She also has a new book coming out soon called, Fed Up: An Insider’s Take on Why the Federal Reserve is Bad for America! During this 30+ minute interview, Jason starts of by first asking Danielle if she thinks the Federal Reserve will be run differently under Donald Trump than if Hillary Clinton had won the 2016 election? Jason also asks Danielle if the Federal Reserve will raise interest rates in December, why the Federal Reserve seems to keep doubling down on monetary policy ideas with broken economic models and about the pension fund crisis all across the US.